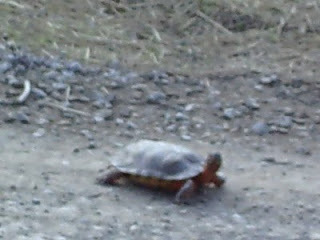 Lee Anne caught a Wood Turtle walking down the road and the moon rising over the mountain. It almost looks like the turtle is saying, "What are you looking at?" It was a hot hot day in the upper 80's and about the same amount of humidity. Maybe that turtle was looking for a cool spring to beat the heat. 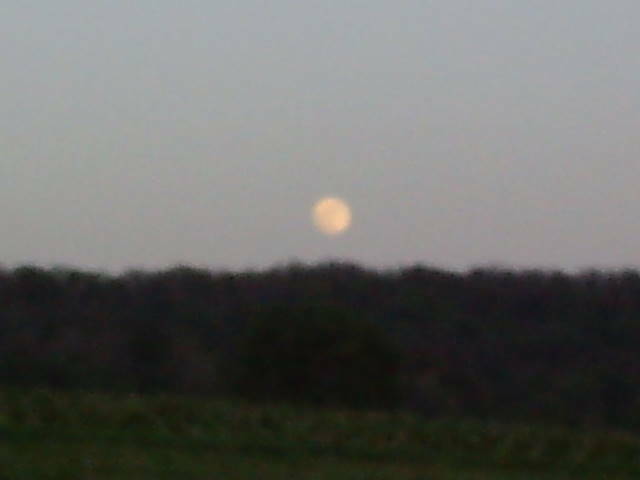 The moon coming up gives hope of a cooler night. It is rare we to need air conditioning here because the cabin stays cool enough during the day if you keep the windows shut. Then as the outside air cools down, I open the windows and run a large exhaust fan upstairs to pull the hot air out an bring the cooler air inside. Now a quick change of subject. Snaggle nose the injured bear from last year made it through bear season and the winter. He don't look pretty but he is big. We were surprised he didn't get shot during bear season as he doesn't have the ability to smell much with a tore off nose. Also word in Slate Run is the DNR is catching bad bears. Thanks to the feeding of the bears some of them have become a bit too brave and are being trapped and relocated. Which usually means we will see a tagged bear up here soon. They like to give us their problem bears. As much as we all like to see the bears feeding them usually causes problems in the long run. They become brave and destructive and at the worst end are shot. So just be aware feeding that bear might be a death warrant for it. Well, its late and the mountain girl needs to get some shut eye before another day of work. Mountain girl, Paula, logging off. 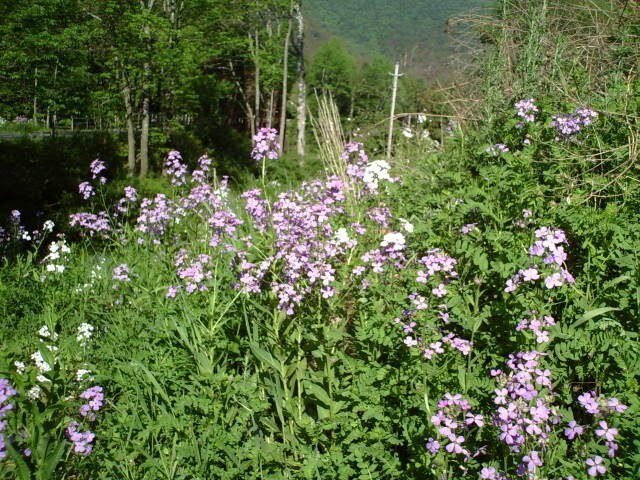 The beautiful purple and white flowers are out along the roadways. 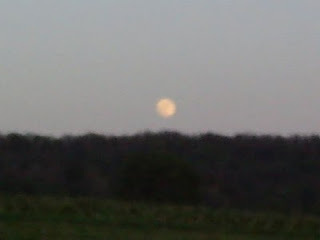 This picture was taken near the rails to trails. It is a beautiful Spring day that will feel more like the middle of summer by the time it is over. Just as soon as the fog burnt off the sun started warming things up. I am sure it will make the 80's today easily. Too hot too soon. 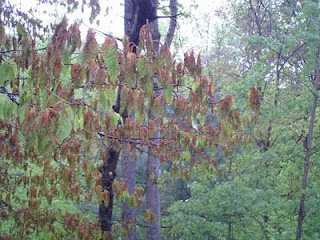 The trees are still recovering from the late freeze and are now being attacked fairly heavily by forest tent caterpillars. The worst seems to be on the side of Cedar Mountain closer to Galeton. As you drive down the roads you see green bits of leaves shredded by the hungry bugs. I am waiting to see how far they come this way. The trees near Galeton are nearly bare in large areas. high on either side of the break off area it is difficult to see. I noticed several tire marks right on the edge. Be very careful passing this as there is water running down the other side of the road people tend to move away from the water and closer to the break off. As you can see from the last picture it is a long way down and as I can attest not a fun ride. Although, I have complained about this section of road it is slow to be fixed or even marked. One look away at the wrong time is all it took for me to end up with a broken back and barely my life. I sure don't want to see anyone else down there. Mountain girl, Paula, logging off. One of the signs of warm weather are the spider webs that glisten in the morning dew. 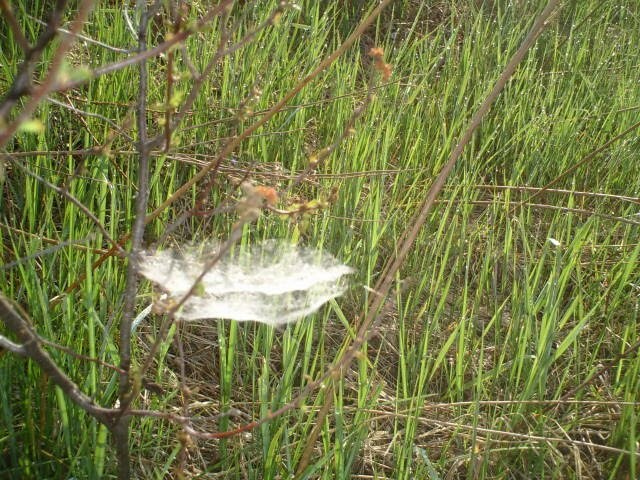 It is amazing how fast these little engineers can build their webs when the weather warms up. They aren't easily visible until the dew is on them and the morning sun makes them shimmer. 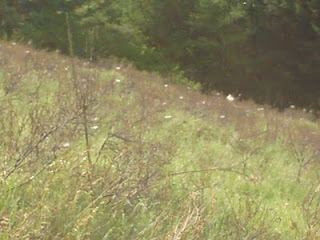 It almost looks like little puffs of cotton on the side of the mountain. 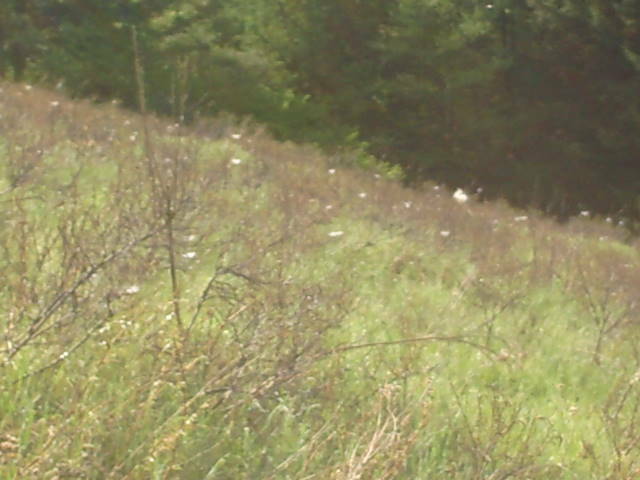 Driving into Galeton down Pigeon Hill Road and Button Hollow I was met with a different kind of web. Gypsy moth caterpillars (Forest tent caterpillars) hanging from trees were so prevalent it covered my truck in a web by the time I reached town. Upon exiting the truck, I too was covered. Tons of strands went over my bed and doors so that every time I moved near the truck I collected more webs. I wish I had my camera with me then. This means the tree damage will again be high by Galeton it is too early to tell how far this way it will come. You can see the crawling caterpillars everywhere. Well, I am off to work. Mountain girl, Paula, logging off. There is nothing like the sound of the creek on a beautiful Spring day in Leetonia. 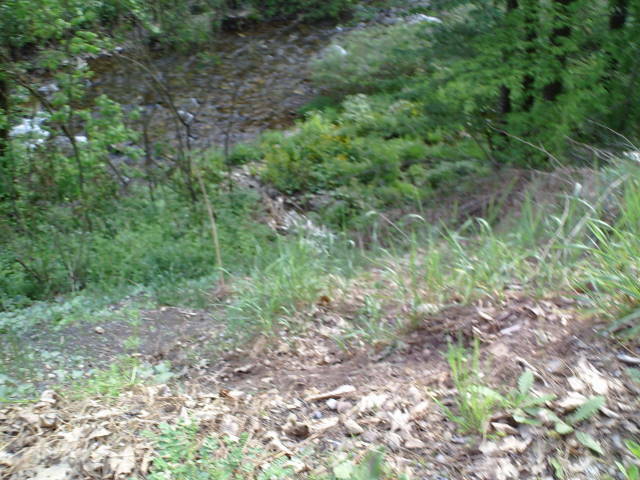 This is Buck Run in front of the house and the recent rain has keep the creek running well and clear. The day started in the lower 40's but quickly warmed up and it is expected to get into the 70's today. Things always seem greener and fresher after a rain. The only downside is the bugs are quick to follow. There is a ton of lazy flies out and some no see-ums. This is the only thing about summer I don't like. 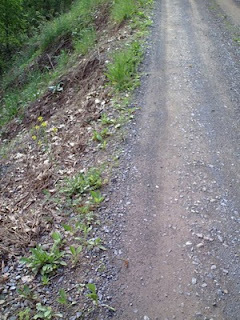 On my way down to look at a fallen tree in Leetonia a young bear ran across the road up into the forest. Scooter didn't care for that and gave a quick growl to hurry the bear along. The light sparkles through the trees in rays upon the road and the sounds of birds are everywhere. This is the pay off for making it through another winter of cold and silence. The weather for the weekend is looking like some rain at this point. But you never know until it happens. On the days they say it will rain it is often the nicest day of the week. Enjoy the creek if you listen close enough you can hear the birds as well. Mountain girl, Paula, logging off. Many of the trees suffered leaf damage from the deep freeze we had last week. 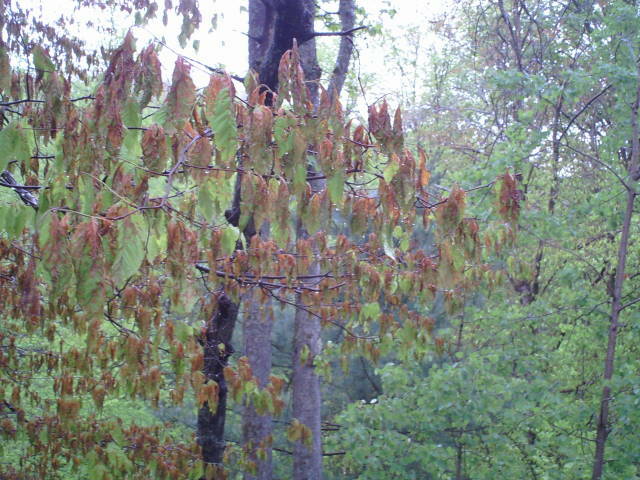 Most of the ash leaves turned brown as well as any walnut. I am sure this will have a bad affect on the apple and acorn crop. Many of the oaks on top of Cedar Mountain look bad wilting as they were starting to grow. The rusty damage to the leaves made the sides of the mountain appear more like early fall colors at first glance. Of course as you look closer you could see the browning and welting of the leaves. 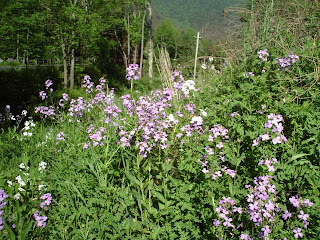 The leaves will drop off and be replaced, but anything blooming is done for the year. 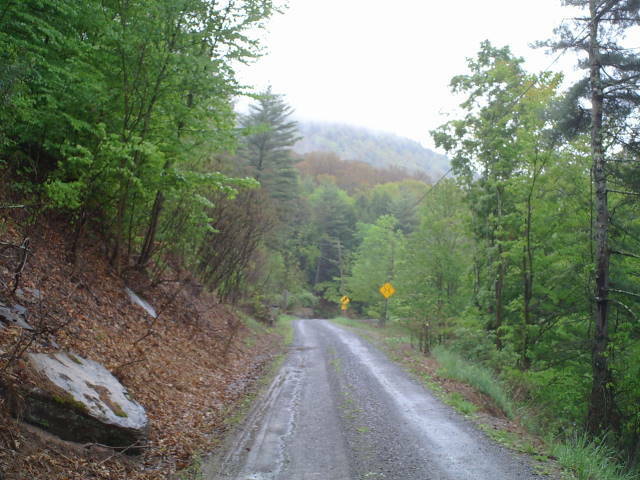 going down to Cedar Run on Leetonia Road. It was a rainy dreary day in the upper 40's to low 50's the kind of day you just want to sleep. I had one job on a porch covered by a roof so I opted to do some tear off today to prepare for replacing the deck tomorrow. The forecast promises to be a little drier but light showers are possible. The last picture shows the only shining spot coming up the road. One small bush was blooming beautiful pink flowers at first I thought it to be mountain laurel which would be about a month early, but on closer inspection found this not to be true. I don't remember seeing this plant before and it is one I will have to look up to find out what it is. It was the only one I have seen in all my travels up and down the mountain roads. Lee and I are filling in with census work and they are having us check all the seasonal places to make sure no one is living there. We either have to find someone there to verify this or find someone besides us that knows it is seasonal. Just trying to match the census maps with what we know to be true has been a challenge and finding someone at camps is the luck of the draw on weekends. The nicest part of this experience is going back and finding places even I didn't know existed. We tend to be creatures of habit traveling the same roads all the time and only seeing what can be seen from the road. I am here to tell you there are 113 seasonal cabins leased from the State in Tioga Forest. And I would have been lucky if I had been to half of them before the census adventure. 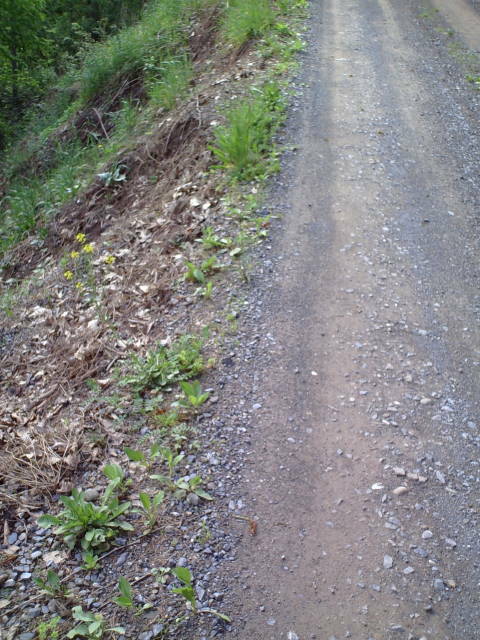 I had to travel down a logging road 4 miles to find one and the last mile was a steep rocky path down. I was glad to have the clearance of the truck. I will have to say it was fun finding but I don't care to go down that road again in the near future with a vehicle. One thing we have been talking about is the fact we know so little about how to contact the people who own these camps. I think it would be great to create a directory of camps with contact names and phone numbers. This way if any camp is damaged it would be easier to get a hold of you all in person. If you would be interested in participating in this voluntary list, email me your information and location of camp. I will give lists to all who participate, but they will not be given out to anyone else. My email is campeaglebear@yahoo.com. Mountain girl, Paula, logging out. 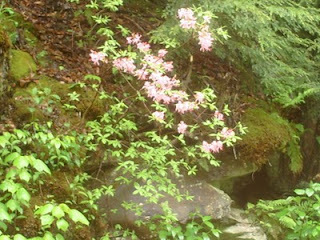 UPDATE: Flower is wild azalea. Thanks to a couple of readers for that identification. Check comments for a link to a detailed description. 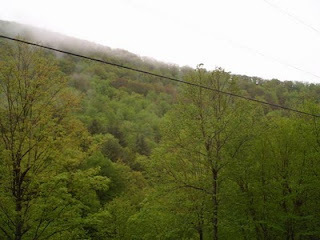 I took that picture from my truck in the rain so it was a little blurry. Okay all you people who've been bugging me about is there anything for sale in Leetonia can stop. 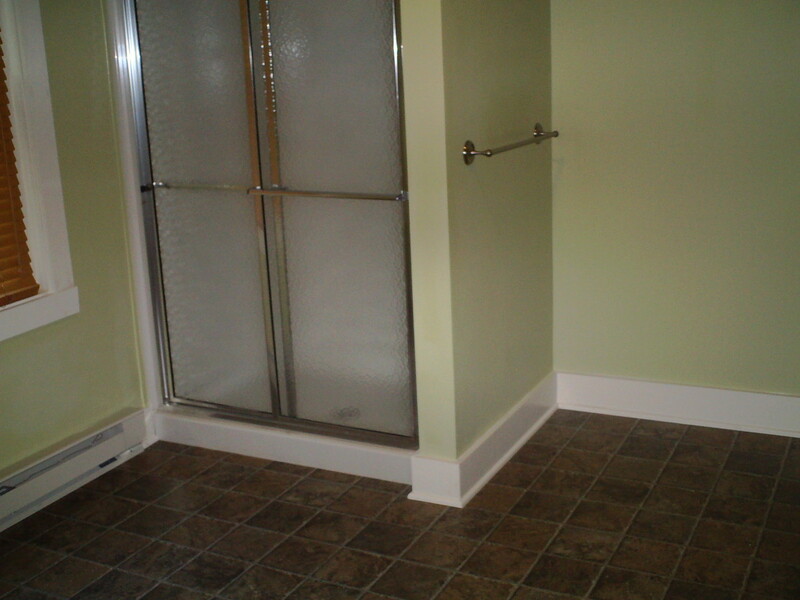 One of the nicest camps in Leetonia is back on the market after I personally totally remodeled it. 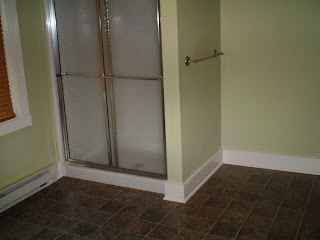 It has a garage I am envious over, two full baths, 5 bedrooms with with ten beds new mattress. The entire upstairs has new windows and half the downstairs windows were replaced. 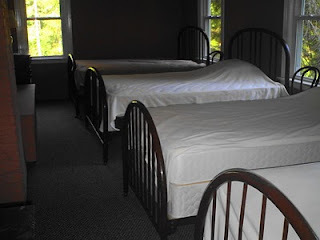 This is an ideal camp for snowmobilers or a large group of anyone. 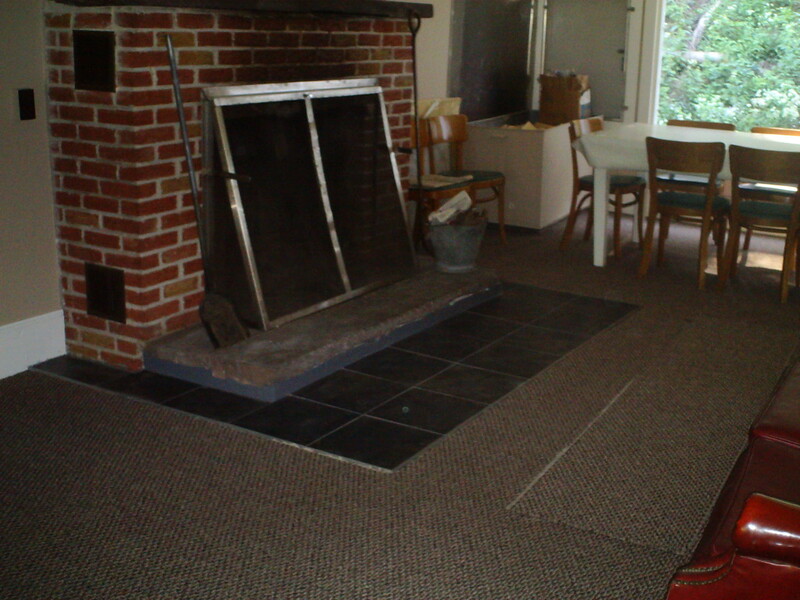 The kitchen was originally used by a chef to cook meals for the guys back in the 40's and 50's is and is all stainless with a large butcher block island. Anything you want to know about this place mechanically feel free to ask me. Lisa Lynn has it listed at 570-660-0626. I wish I had some extra cash cause I would buy it in a second. 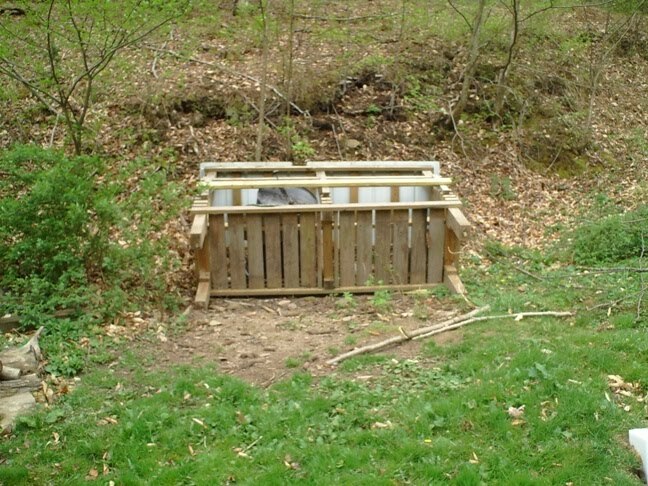 The bears often visit the yard in the summer months and you can hear cedar run creek. I don't have an outside picture in the summer so you will have to look at Lisa's site for that Herre Camp. I am taking some pictures today of the frost damage to the trees and hope to get them up soon. Mountain girl, Paula, logging out. It got down to 21 last night. I don't know if that is a record for May but it is the coldest I remember. 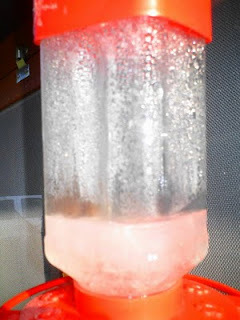 The hummingbird feeders were actually frozen solid this morning. The hummingbirds have been slow arriving this year nearly a week behind. Could it be they knew about this cold weather and opted to wait? I hope that is the case. We have seen very few of them so far. One female showed up yesterday and only a couple males are here far behind our usual. We should know by the end of the month if something more sinister has happened to the birds this year. All we can do is wait. Another bird that seems to have an amazing sense of when to show its face is the Turkey. They are everywhere until the hunters show up then they disappear. They even seem to know what time of day the hunters can't hunt. I saw two nice gobblers yesterday after twelve and often see them in the afternoon. Maybe they have watches. The strange Spring continues with the early temperatures of 80's and now it seems we are back to winter. Well, got to put another log on the fire...the dogs are cold. Mountain girl, Paula, logging off. Last year, with the help of Stanley Dudkin's welding we built a couple of 55 gallon drums to keep corn in and gradually disperse it when needed. They worked great last fall and it kept the mice and chipmunks from eating half of it when it was stored in the neighbors garage. However this Spring the bears decided the corn was not coming out fast enough. 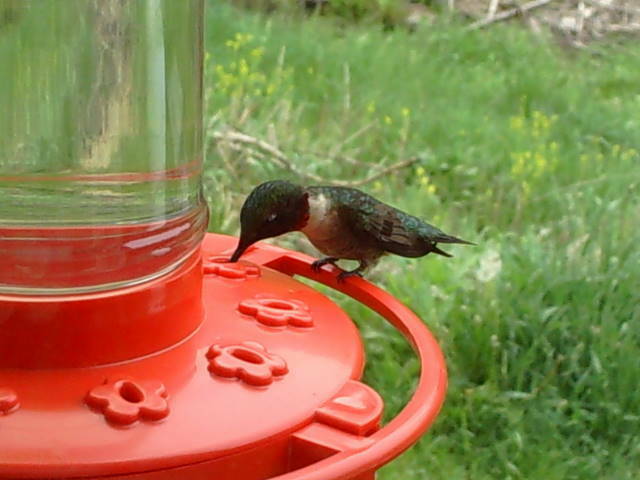 First one broke the back of the wooden feeder. Then he came back and pulled one of the drums out and I assumed rolled it over and over trying to get the corn out of it. I think this worked well for him until he rolled it into the pond and sunk it about four foot deep 100 feet from the feeder. Unable to get the other drum out he just pushed the whole feeder over. I was driving by the other day when I first noticed the feeder was tipped over. Upon closer inspection I was surprised to find one of the drums missing. It took me a while to locate it and I was not happy to find it submerged in the pond and full of water. The water temperature is barely above freezing and even with the waders on your hands go numb in a few minutes messing with the cable and bolts holding the lid on. barrel. As soon as it started to rise above the water it let go and I had to make another trip into the icy water. 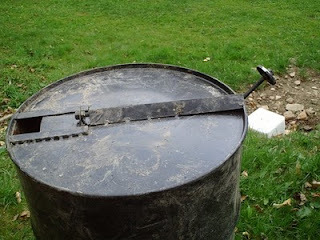 This time I managed to unbolt the lid which was on the lower side of the barrel. 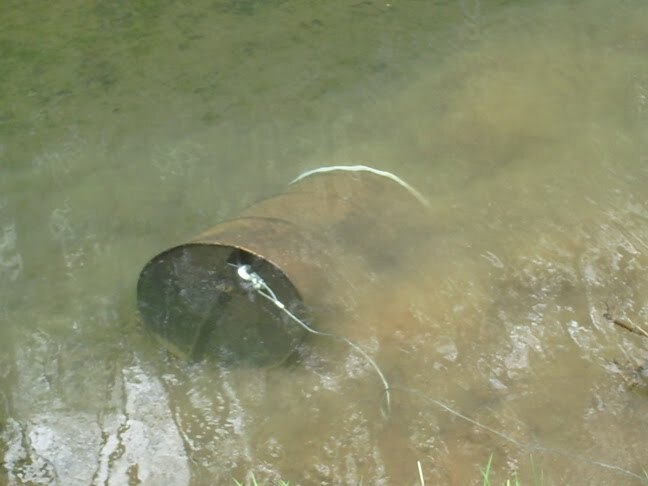 This allowed the water out as I pulled the barrel up onto the bank. I was able to do this by hand from the pond with Lee grabbing it as it got to the edge of the bank. 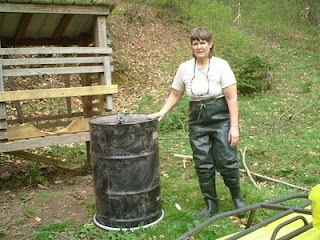 Once we retrieved the barrel from the pond we had to upright the feeder. 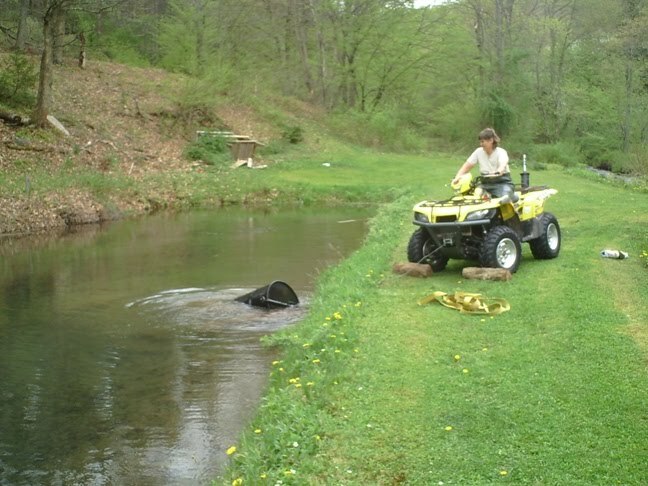 Using the blocked four-wheeler I again ran the winch slowly until the feeder was standing. This went without a hitch. Lastly, I pried the other barrel out of the feeder. You can tell from the last couple pictures the bear tried hard to get it free of the feeder. In fact, he tried so hard he bent the metal rod coming out of it and didn't leave an inch of it without a muddy bear print. We have decided there is no way to keep the bear from repeating the process without more work, concrete, and steel than it is worth. So the barrels will stay inside the garage and be used to keep the mice and chipmunks out of the corn. If one of them throws the drum into the pond it is time to get a bigger gun.